Let’s start with the assumption that you are well-educated and charming. You are board certified and have all the specialist certifications anyone in your field could hope to have in a lifetime. You love your family and your country. You know your field. People call you an expert and seek your opinion. So, does that mean you are ready to be an expert witness? Not necessarily. You are what your records say you are. If there are any public records that might prove embarrassing, you can rely on a decent trial lawyer to find them. Understand that part of trial work is investigating the witnesses. That includes civil and criminal records; any state or federal records that are available; and even the property appraiser. If you are going to be an expert in court, then you should make sure your online presence in social media is pristine. Chances are a smart trial attorney will not “play in your sandbox”. What that means is that the lawyer will ask you a lot of questions, but very few of those questions will be in your field of expertise. You will be questioned about your charges; how long you spent on the case; your experiences in testifying; your relationships with lawyers, law firms and insurance companies; and any potential bias, prejudice or financial interest that you may have in the outcome of the case. But little if any time will be spent in your “sandbox”. You will be asked how much you are charging for your testimony – at least until you answer it the right way a few times. You are not charging for your testimony. Your expert opinion is based on your education, experience and the facts as presented. What you are charging for is your time. If you weren’t sitting in deposition or in court answering the attorney’s questions, you would likely be back in your office working. So if you are asked what you are charging for your testimony, simply answer “As you know, I am not charging for my testimony. I am charging for my time – the same as you are”. It is unlikely that attorney will try that line of inquiry next time. You will make some decent money as an expert witness. But don’t charge too much – or too little. If your rates are too low, in comparison with other experts in the case, it is quite possible that some jurors will think your opinion isn’t as important as the other experts. Simple human nature to a degree – you get what you pay for. On the other hand, don’t charge the most. If most of the experts in the case are charging $500-$750 per hour, you don’t want to walk in and charge $2000 an hour. If you do, the cross-examination will likely include some calculation of your time on the stand and how you made $833.25 in the last 25 minutes ($33.33 per minute at $2000 per hour). Understand why you are being called as an expert. You obviously have the credentials. But you were retained for more than that. You were brought into the case to explain some specific subject. To make the complex simple to understand and grasp. 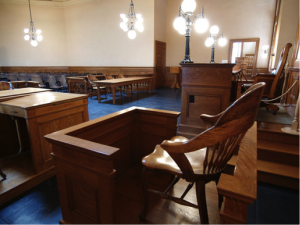 Experts usually fall into one of two categories for jurors: first, the expert is so knowledgeable and experienced that the jurors become convinced that they should just follow what the expert says. The second, and more persuasive, category is the expert who teaches the jury so that they understand and ultimately reach the same conclusion. If that happens, the juror owns the decision and it is virtually unshakeable. Be the expert – not the advocate. Don’t play in the lawyer’s “sandbox” either. Let the attorneys argue. Be above the fray. At the end of your time on the stand be the professional that each juror would want to go to if they needed a specialist in your field. Be aware of your presence. Your testimony is more than just your words. Non-verbal communication counts. Your tone and volume will be evaluated subconsciously by the jurors. Don’t mumble and don’t yell. Answer the questions clearly and professionally. No need to show your temper or contempt. It is not personal. It’s just business. Treat it that way and you will be fine. Above all, always show respect for the court, the judge, the jury and, yes, even the attorneys. It is an honor to be called before a section of the community to give your opinions to help the jury decide the issue before them. Be polite. Smile. Enjoy the process and always remember, nice people win trials. Expert witness work isn’t for everyone. Many experts live long and fulfilling lives without testifying. On the other hand, many experts enjoy the educational aspect of being an expert. Some will even admit that they enjoy the intellectual battles and the money doesn’t hurt either. If you are considering the possibility of becoming an expert witness in your field of expertise, make sure you understand what you’re getting into. The personal injury lawyers at the Miami office of the Wolfson Law Firm work with a wide variety of experts. Our attorneys have presented the trial testimony of orthopedic surgeons, chiropractors, neurologists, radiologists, accident reconstructionist, and engineers in multiple fields. We have helped many new experts understand what they will face on the stand in front of a jury and have worked with them in advance to ensure a positive experience for everyone concerned. If you would like to discuss the possibility of becoming an expert witness in your field of expertise, please contact us at (305) 285-1115.